As part of our Charlotte’s Web Unit Study we wanted to make a 3D version of both Wilbur and Charlotte! 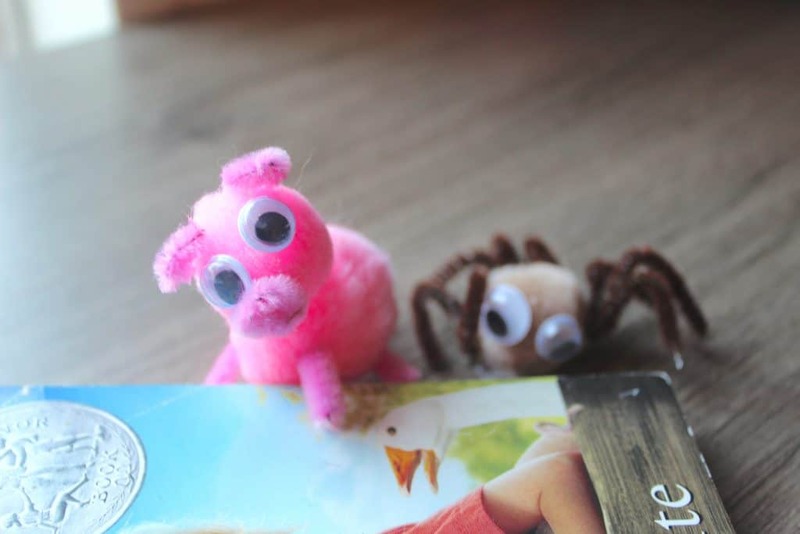 This fun pig and spider craft pairs perfectly with the Charlotte’s Web children’s book! 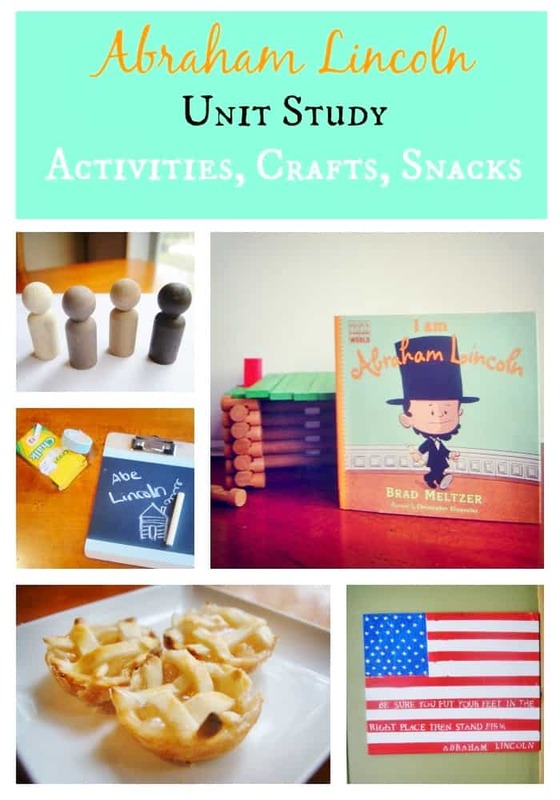 It makes a creative art project for kids to create and play with as they read through the book! 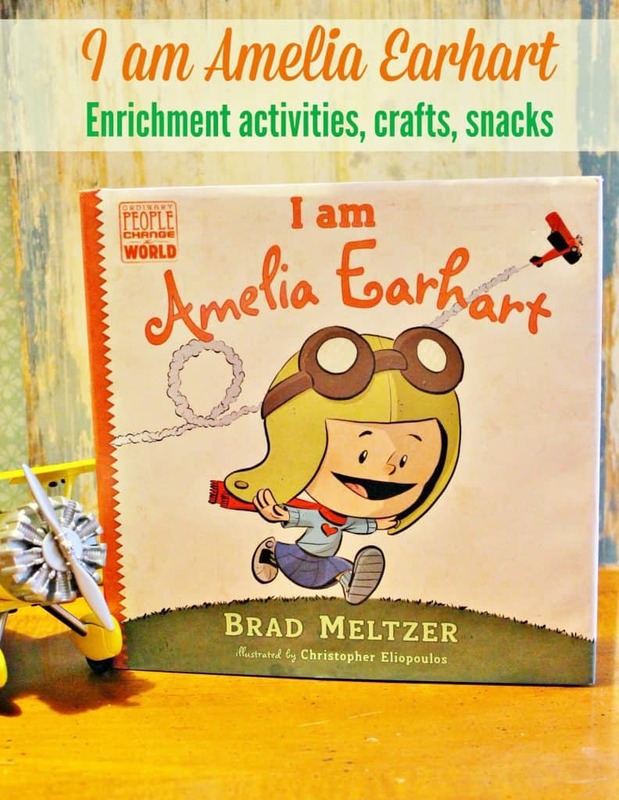 Below you’ll find step by step directions on how we made our pig and spider craft along with other great resources to pair with Charlotte’s Web! To begin, grab both your pink and brown pipe cleaners and a pair of scissors. The pipe cleaners will be used to make the legs of your pig and spider. You’ll need to cut your brown pipe cleaner into eight one inch segments. Cut your pink pipe cleaner into seven quarter inch segments (4 legs + 2 ears + 1 nose). Save the remainder of your pipe cleaners for another craft! 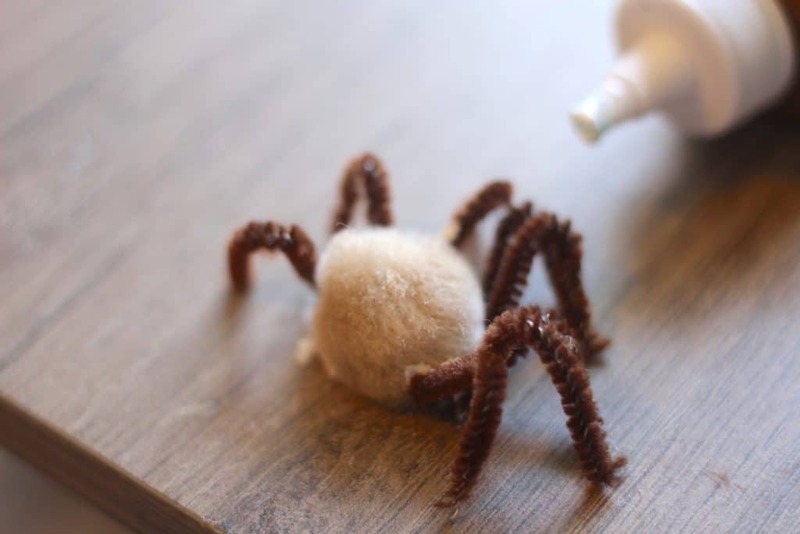 For your Charlotte spider you’ll need to bend each spider “leg” in half as shown, then glue it onto a brown pom pom ball as shown. 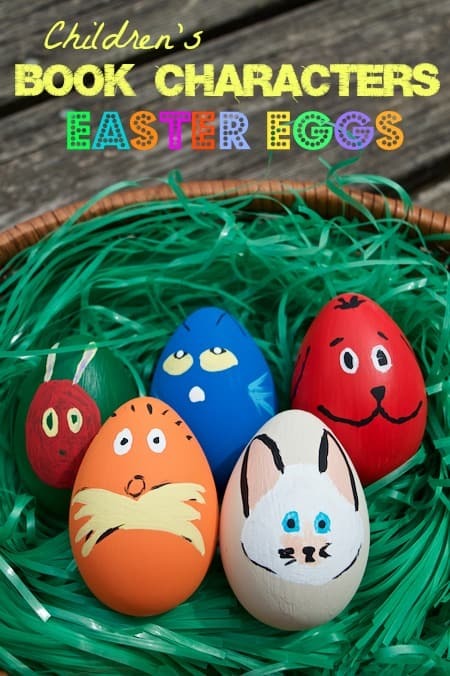 Because it can be a little tricky I personally prefer to use hot glue but if young children are making this craft you’ll want tacky glue for safety reasons. Set aside and let dry completely. 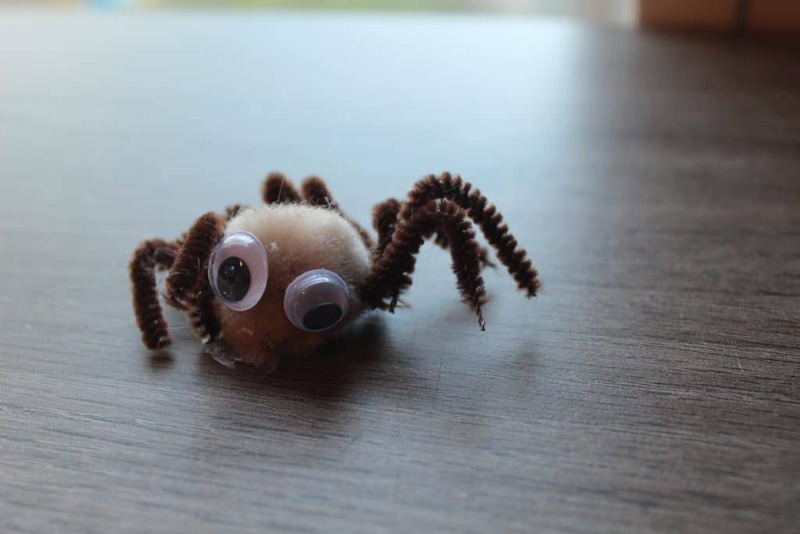 Don’t forget to glue on some google eyes when your spider legs are dry! We’ll do the same for the pig pom pom ball. 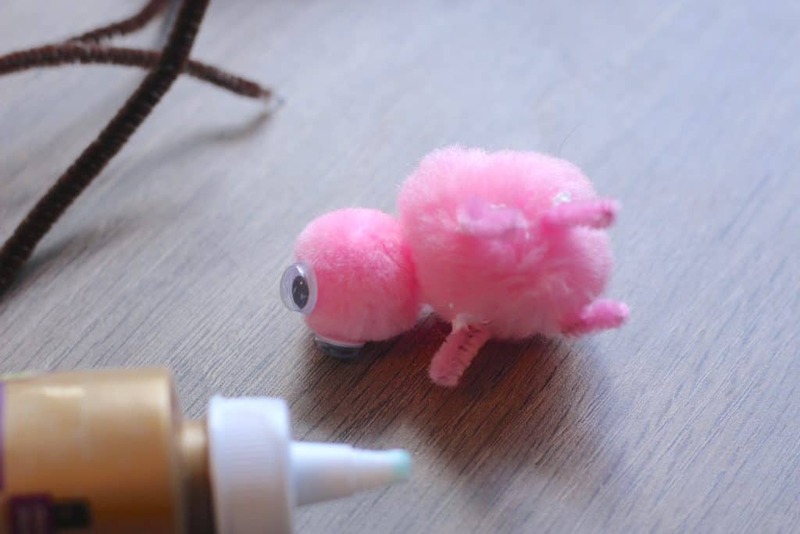 Glue all four piggy “legs” onto the pom pom ball as shown above. Next glue a 2nd pink pom pom ball onto the first one to create Wilbur’s head. Glue on a pair of googly eyes. Lastly, we’ll finish Wilbur’s face! Fold two of your tiny pink pipe cleaner pieces in half and then glue them in place for ears. Then roll up your last pink pipe cleaner piece into a tiny spiral and glue it in place for Wilbur’s nose. Voila! 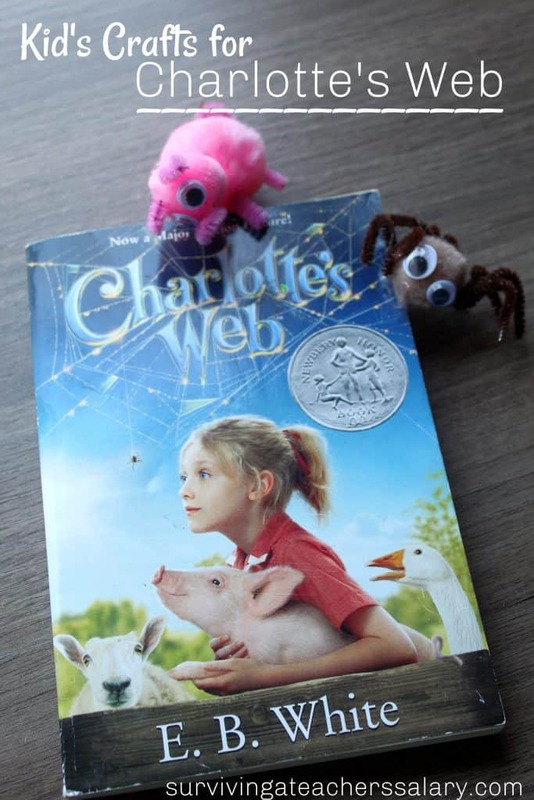 Now you have an adorable Charlotte spider and Wilbur pig to play with! Your kids can add them into a diorama of a farm play yard, glue them onto magnets for your fridge, or just play with them as is! 1.Make a paper mache pig or spider for an art project. As your child builds it talk about the different parts and what they are for on their creature. You can start with a basic paper mache recipe here. 3. We made some awesome (and SIMPLE!) farm animal paper bag puppets that would work great with this book.